Mark your calendars! On Wednesday, April 21st, Evolutions Medical Spa Santa Barbara will be featuring Dermal Fillers 101 – one of Evolutions Medical Spa’s most popular events of the year! Why? This event features dermal fillers – such as Restylane, Radiesse, Perlane, Juvederm – which help to increase volume (plump up) and fill in wrinkles (plump out) in the face. What can dermal fillers do for me? Dermal fillers are the fastest way to look more youthful. As we age, the creases and wrinkles in our face deepen and often we lose volume. Dermal fillers can add volume to those places and enhance the volume in other areas such as the lips and cheeks. How? 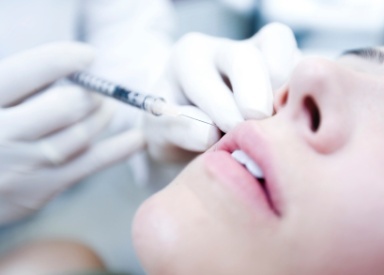 Dermal fillers contain naturally-occurring substances in your body and are injected under the skin. Come learn more about dermal fillers in Santa Barbara by cosmetic surgeon Dr. Terry Perkins. Bonus! Dr. Perkins will also share how you can look 10 years younger in just two hours, without plastic surgery – from his newest procedure – The Layered Liquid Lift. Refreshments, raffles, prizes and exclusive specials for attendees. Seating is limited – please RSVP to Evolutions at 805.687.0212. Santa Barbara’s Evolutions Medical Spa Open House Event Reminder! Happy birthday dear Evolutions! Happy birthday to YOU! 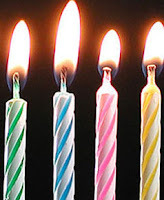 Evolutions Medical Spa’s 4th birthday Open House event is all about YOU! Our clients are what this celebration is about! We continuously strive to be the best medical spa to meet Santa Barbara’s skincare needs! Our celebration is happening THIS Wednesday! January 27th, 2010, 4:00pm – 8:00pm, at Evolutions Medical Spa. Bring your calendars! Plan ahead for your 2010 treatments, facials, chemical peels and more because ALL treatments, series and products will be discounted! Discounts up to 30% on series, facials, and chemical peels. Product gift with selected purchase items. Colorescience (premium Mineral Make-up) – have a mini make-up application done with the best in the biz! Mini-Vibraderm – experience a more advanced exfoliating treatment than microderm-abrasion. Clarisonic (skincare) – test out the ultimate in skin cleansing which happens to be Dr. Perkins’ #1 home skincare recommendation! Prepare to be dazzled! Santa Barbara cosmetic surgeon Dr. Terry J. Perkins, and founder/Medical Director, of Evolutions will be doing a LIVE demo of Dysport – the new anti-wrinkle alternative to Botox Cosmetic, read Dr. Perkins’ press release about it here. Prepare to arrive first! Gift bags for the first 50 attendees! Prepare to enjoy yourself! Dr. Perkins and the Evolutions staff will be on hand for Q&A while you enjoy refreshments and wine. Help us prepare to see you by kindly RSVP-ing to Evolutions to let us know that we can count you in – 805.687.0212! Evolutions Medical Spa – voted Santa Barbara’s #1 Medical Spa in 2009 by readers of the Santa Barbara NewsPress and the Independent – is celebrating their 4th anniversary this month! We invite you and your friend(s) to the annual Anniversary Open House to commemorate this occasion and take advantage of special (only once per year!) promotional discounts, meet the representatives from your favorite product lines, receive complimentary mini-treatments, see a live Dysport demo from Terry J. Perkins, M.D., and enjoy refreshments and wine and more! See below for complete details. * DNA Health Institute (skincare) – enjoy complimentary skin rejuvenating cocktails; completely organic and botanical skin care. * Colorescience (premium Mineral Make-up) – enjoy complimentary make-up application with the best in the biz! Dysport Demo by Santa Barbara cosmetic surgeon (and founder of Evolutions) Dr. Terry J. Perkins. Dysport is the new alternative to Botox Cosmetic, read Dr. Perkins’ press release about it here. * Raffles – up to four different ways to earn raffle tickets and over $3000 in raffle items! RSVP to Santa Barbara’s Evolutions Medical Spa at 805.687.0212 today! The holidays are already upon us! And Evolutions wants you to help you look and feel relaxed and happy when you visit with dear friends and family. Next week is Evolutions Medical Spa’s Most Popular Week of the Year! Join us for Injectable Week! Monday, November 30th through Saturday, December 5th at Evolutions Medical Spa in Santa Barbara. Botox and Dysport: both are excellent for smoothing frown lines, reducing wrinkles in your forehead, and around the eyes. Botox and Dysport typically last 3 to 4 months. Restylane: restore volume to correct wrinkles and moderate to severe folds in your face. Perlane: also restores volume to correct facial wrinkles and folds like Restylane, only it is a larger gel particle and intended to be injected deeper within the skin. Radiesse: a wrinkle-filler that corrects wrinkles and stimulates the production of your own collagen resulting in increased volume and results that may last 12 to 18 months. Juvederm: an injectable gel that adds volume and hydration to your face to create smooth, youthful skin that lasts up to one year. Call today to make your appointment for Injectable Week! 805.687.0212. Education at Evolutions Event Reminder! Tomorrow Evolutions Medical Spa in Santa Barbara is hosting an educational event about Radiesse – an injectable dermal filler that can replace the lost collagen and volume in the face that happens naturally as we age. Radiesse goes one step beyond other dermal fillers by actually stimulating the production of your own collagen to last a year or more! See the “instant gratification of dermal fillers” with a live demonstration of a Radiesse injection performed by Dr. Perkins (a rare opportunity). Exclusive specials for attendees ONLY! Event also includes a raffle for $300 in credit that may be used towards any filler! !